You love your friends, but not every friend can do it all. From needing a shoulder to cry on to having a fun-loving gal pal to hit the stores, it's a good idea to fill your life with a variety of people you can rely on (and who can rely on you). A strong network of friends is also good for your health. Research suggests that a busy social life can ward off disability as you age, help you survive cancer, boost the chance that you'll live longer, and more. 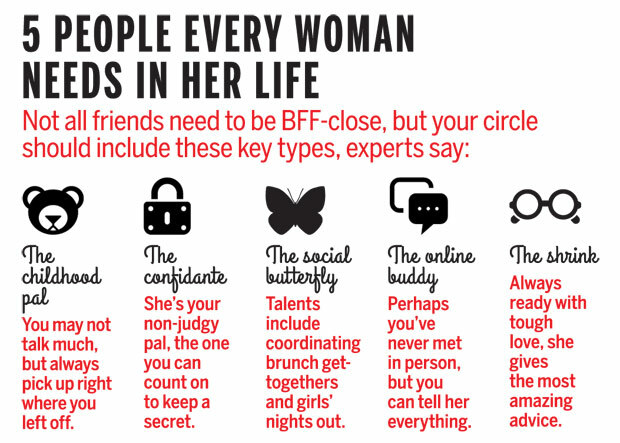 Here are five people every woman needs in her life.